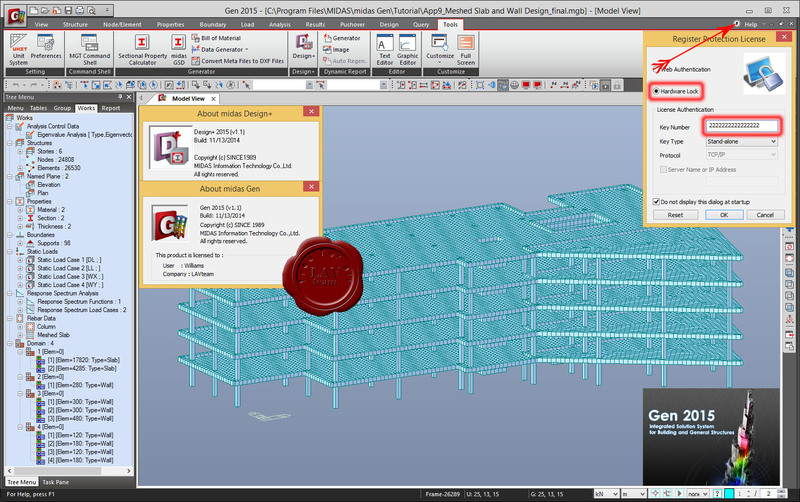 midas Gen is integrated solution system for building and general structures. With its intuitive user interface, contemporary computer graphics and powerful solver, midas Gen enables practicing engineers to readily perform structural analysis and design for conventional and complex structures. midas Gen utilizes a diverse range of specialty finite element analysis functions as well as modern theories of structural analysis to render accurate and practical results. These features contribute to higher and unprecedented standards of convenience, efficiency, versatility and productivity for structural design.